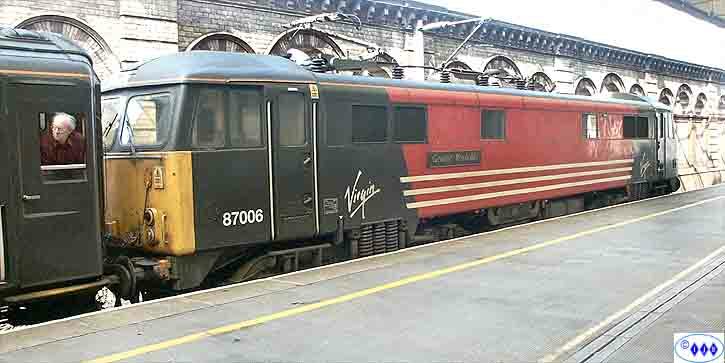 3rd of August 2002 and the passing into history of another North Wales Coastal service, this time it is the class 47 hauled Saturday Virgin service to Holyhead. 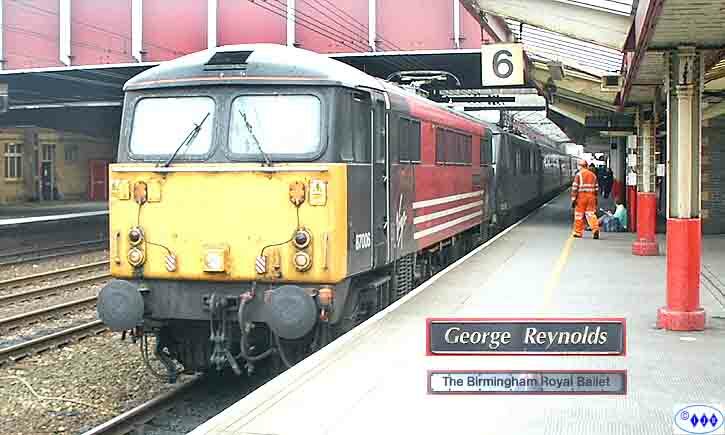 The train, the 08.05 from Euston, arrived at Crewe behind Class 87 number 87006 "George Reynolds" and behind it, dead in tow, was 90008 "The Birmingham Royal Ballet" which was in transfer. Unusually the consist arrived in platform 6 and not the normal platform 11. 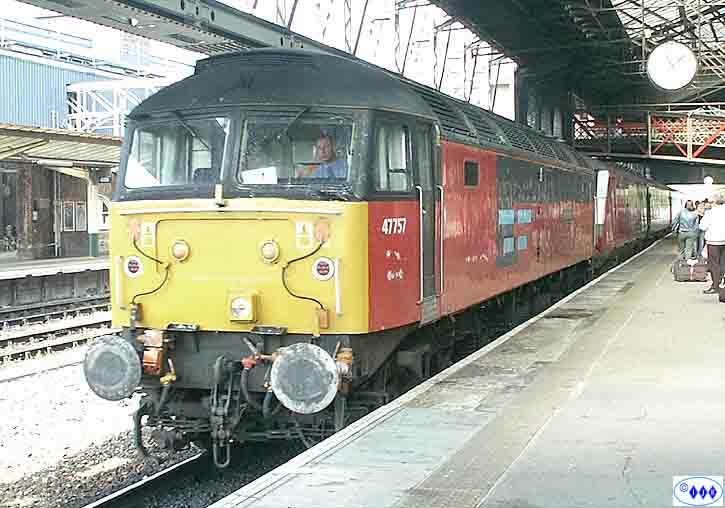 Waiting in the wings to take over was 47784 "Condover Hall" in RES livery. Here the locomotive is reversing onto the train for the last time. Unfortunately I could only travel as far as Chester where I hoped to pick up the 9.19 Holyhead-London reverse working back to Crewe. 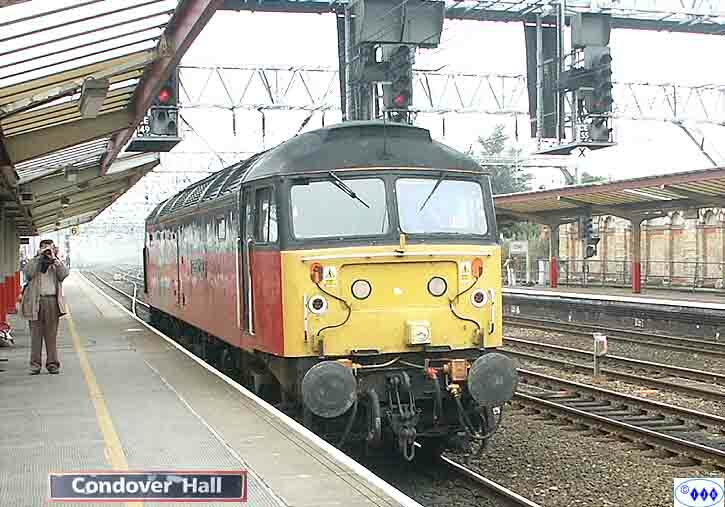 The timetable shows a mere 4 minutes to cross the station which would preclude photographing Condover Hall leaving the County Town. 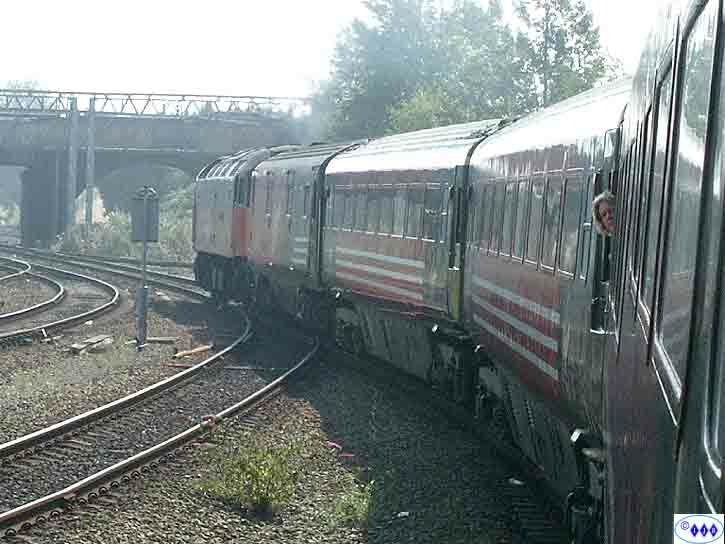 In the event the 9.19 was being held outside the station due to a Manchester bound class 187 which was seriously overloaded. 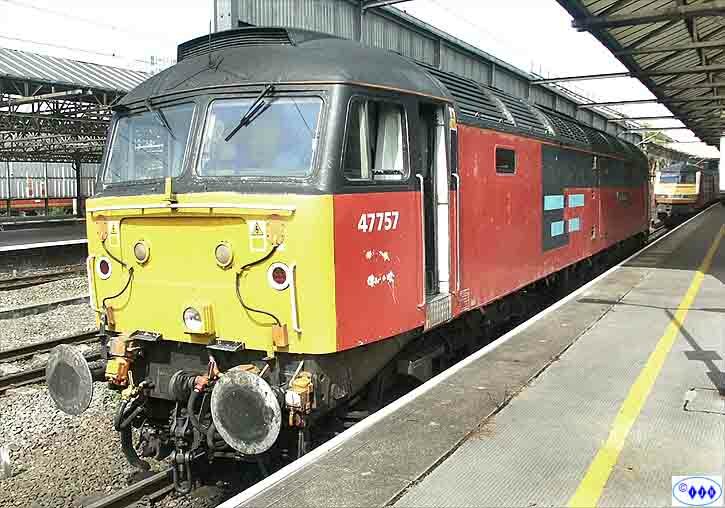 It was finally allowed into the station running about 10 minutes down and was in the charge of the recently modified 47757 "Restitution". The train was also full to bursting and after a very laboured transfer of passengers it left to cross over from the Altrincham line to head for Crewe. A Mid-Summer Saturday is not the best time for bashing! Crewe and arrival into platform 11 with DVT number 82106 ready to take command for the push(!) South to the Capital. Restitution was detached to head for the diesel depot for servicing before another working turn. 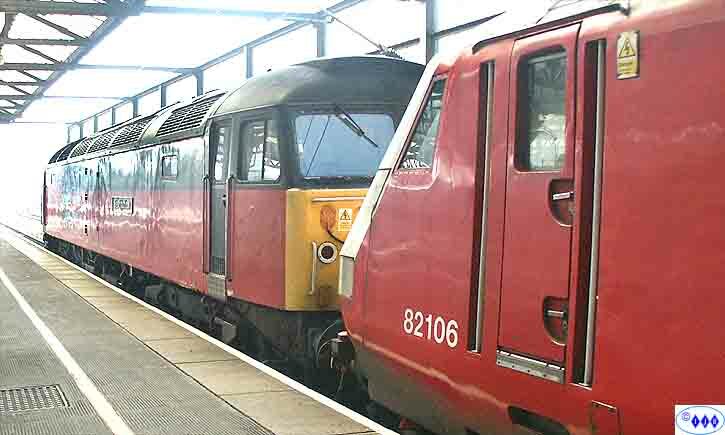 How much longer will we see these locomotives in service like this? When the Voyager strikes, and it soon will, these will disappear in favour of small, moving, red dots!